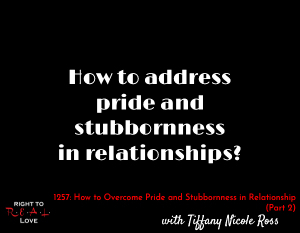 How to address pride and stubbornness in relationships? Why some people choose to be in relationships with prideful people. The importance of dealing with your pride and stubbornness first. Tiffany shares techniques she uses to determine when she is being prideful.